Coral can be quite pricey, but you can have a similar look at a fraction of the price. 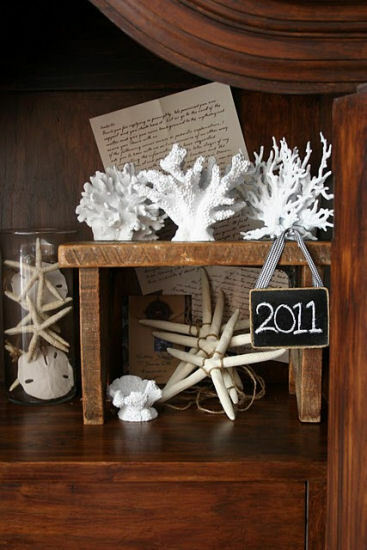 This faux coral by Home Stories A2Z was purchased in the pet supply section of Wal-Mart, and given a coat of white paint. Brilliant! Do you have a project or room makeover you’d like to share? Link your project up to the weekly A2D link party (every Friday around 1:00pm). View the complete pictorial index of all Inspiration Files projects. Progress Report Monday:: Share Your Projects and Your Progress! Have You Ever Seen A Prettier Green?